Sonic Ether’s Unbelievable Shaders Mod upgrades Minecraft graphic features without you having to use any of the resource packs to upgrade these features. The mod can be used on any all computers, whether old or new, regardless of their processing power. That is why you need the Continuum Shader Mod for Minecraft. This mod will give you realistic shading and lighting. With these two mods combined, you will have a world that looks almost real. If the real world were mostly made of blocks. People have fallen in love with the Kuda Shaders Mod because it is good on the computer. Not everyone can use the high-end mods due to hardware requirements. If your hardware cannot handle the mod, you cannot run it. Using the controls in this mod, you can personalize it to your personal needs. Go to the highest quality graphics possible or keep it low-end, whatever you need. It works with you on your level. Lagless Shaders Mod prevents your computer from lagging when you download the shader. This mod is a very useful mod. It is no secret that the visuals in Minecraft are not the best. While unique and interesting, this game has never been one to grab you based on beauty. Mods quickly changed that, though, bringing in shaders, contrast, vibrancy, colors, and more. The Super Shaders Mod does just this. It helps to create realism and beauty in your Minecraft world, making everything look a little better. While not perfect, with some faults that bring it down, it does a great job overall. It is something that will make your Minecraft experience engaging and exciting more than it has ever been before. 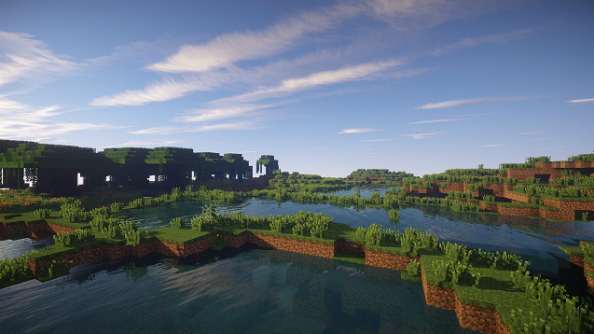 Getting a shader or shader pack up and running on Minecraft is a simple enough process. Before you get started trying to install a shader pack though, you’ll want to download and install Forge and Minecraft Optifine and GLSL Shaders Mod.